So I have been on Pinterest for a long time and I have shared some of my content there but never really seen much in terms of traffic until the last few months when I decided to put some real effort into it. Just to give you an idea of how my Pinterest traffic has improved over the last year here are some screenshots of my analytics for my mommy blog, which is my main online concern. Now I am going to take you step by step through all the things I have done to build up my Pinterest traffic in the last few months starting right at the beginning from setting up your Pinterest account. If you have just one website then I suggest that you set up a personal Pinterest account and set up a business account for your website. If you have more than one website then I suggest you set up your personal Pinterest account and a Pinterest business account for each of your websites. It may sound like a lot to manage, but I will show you some nifty little tricks where you can mostly manage your Pinterest marketing from your one personal Pinterest account. I love video marketing and it is so much easier to show you how to do something than it is to explain it. So I have created one video for each step of this process for you. Each video will be one task that you can do and come back later to carry on. It is not always easy to take everything in in one go. Obviously the first thing you are going to need to do is set up your Pinterest account. I suggest that you set up a business account for your website and if you have more than one website you can set up a Pinterest business profile for each website. It may sound like a lot to manage, but I will show you how to set everything up in a way that you can manage it easily, mostly from one profile. I also suggest that you set up a personal Pinterest profile too and this would then be the account that you will manage your Pinterest marketing from. The next step is to verify your website on Pinterest. This will not only create more trust for you, but it will also offer your account more protection and it will enable you to see more indepth analytics on your Pinterest business account. You can verify your website on your personal account as well as on your business account. I suggest that you verify your websites on your business accounts and just list your websites in your personal profile. Verifying your website on Pinterest is really quick and easy and it comes with awesome benefits. Just add your website into your profile settings and click on “verify website” to get your code to add to your WordPress header file. Here is a video showing you exactly how to verify your website on Pinterest. The next step would be to add the Pin It button to your browser, this means that you can pin images from anywhere you are on the internet without having to go into Pinterest. Just bear in mind that when I say from anywhere online there are some websites that are blocked from being pinned, such as Facebook and some other websites, such as Wealthy Affiliate. Download the Pin It Button Here and then it will show at the top of your browser. When you come across an image you would like to pin to Pinterest just click on the Pin It button on your browser and all the images on that web page will come up for you to choose from. Alternatively you can hover over the image you would like to pin and on the left hand corner of the image you will see the Pinterest logo come up, click on that and you will be able to pin the image. Creating a board is very quick and easy, but so often people neglect to properly optimize their boards. You can create a board when you pin an image by choosing to create a new board at the bottom instead of pinning to an existing board but this only gives you the option to create a title for your board. For this reason I recommend that you create your board from within Pinterest. You can click on Boards and then click on the plus sign on the left to create a new board. Fill in the title and also add in a super keyword juicy description. You can also choose a category for your board which also help to optimize your board further. You can also click on add collaborators which is super helpful. I have already mentioned adding your other accounts as collaborators and this is really going to make your Pinterest content marketing efforts so much easier to manage. Once you have pinned some content to your board you can also add a featured image to your board which will make it stand out more and be more appealing. Now although you can pin your images straight from your website to Pinterest I actually don’t recommend that you do that. I personally create different images for my website, Facebook, Twitter, Pinterest and Instagram using Canva. It may sound like a lot of extra work but when you look at the images on Pinterest you will see that they are all a certain size, the perfect Pinterest size. If you go to Canva and start using it you will see that they have image sizes for Pinterest and for various other social networks too taking all the guess work out of it. Since I started creating my Pinterest images in a certain way I have seen my traffic from Pinterest climbing in a huge way. Pinning images to Pinterest can be done in 3 ways – using the Pin It button, pinning an image from your computer from within Pinterest and pinning an image from a url from within Pinterest. I have already run through the basics of how to pin images to Pinterest using the Pin It button and you can see that in the video below. Like I have already said even though I have the Pin It button I very rarely use it to pin anything. I prefer to pin my images from within Pinterest. My favorite and most used way to pin images is to pin from my computer. The reason for this is simple – I don’t usually upload my Pinterest image to my website. It is a large file and I don’t want to slow down my website with those images. Also very often if you want to pin affiliate links you will need to first add the image and then add the link afterwards. The third way to pin images to Pinterest is by entering the url. This is especially useful since this is how you can pin Youtube videos to Pinterest. Watch this video below to see how to pin images to Pinterest in each of these ways. Joining big group boards on Pinterest was a big time game changer for me. When I first started on Pinterest about 4 years ago I couldn’t get my head around how Pinterest worked. I had heard many people saying that Pinterest is amazing for getting traffic. That was not my experience until I starting really putting some effort in and researching how to use Pinterest properly. Joining group Pinterest boards was a turning point for me. It does take some time and efforrt to find and join the groups but once you are a collaborator on a good number of group boards you will start to see the difference. There are two methods that I use to find and join group Pinterest boards. The first is to search on Facebook for groups set up purely for this purpose – for people to invite others to join their Pinterest boards. So if you search on Facebook using keywords like “Pinterest Boards” or “Pinterest Group Boards” you will find some groups to join. Once you are accepted just scroll down the groups and find people inviting others to boards in your niche. Then another way which has been very successful for me is to use a website called Pingroupie.com. You can search for big group boards using various options such as group size, number of collaborators and number of followers. Then you can go to the board and find the information given to join. Now I can certainly understand that it may seem like a mammoth task to get all of the above done and grow your Pinterest account but once that is done the task all you need to really do is share your new content on Pinterest. So if you want to see how I generate traffic from Pinterest watch this video below to see my Pinterest routine from start to finish. 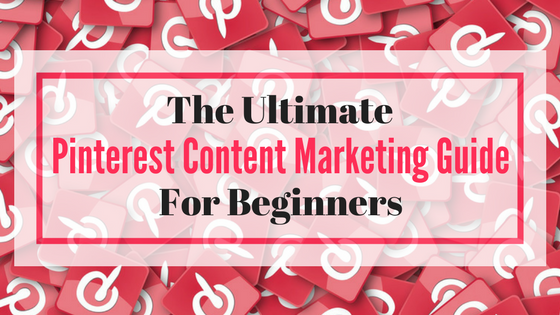 I hope you have found this Pinterest Content Marketing Guide for Beginners helpful. It has helped me grow my Pinterest traffic from 0-6 Pinterest visitors a day to 50 – 150 Pinterest visitors a day in the space of just under 6 months. If you have any questions about Pinterest content marketing let me know and I will do my best to answer. I’ve been trying to figure out if it’s worth it to spend time promoting my website on Pinterest, since I’m putting all my effort on the lassic Facebook, Instagram and Twitter. This is a very thorough and interesting guide of Pinterest!! I have been making use of Facebook very successfully for the last 5 years and I get a huge amount of traffic from Facebook but the difference is that Facebook traffic is very short lived. If I post something today I get traffic from it immediately but it dies down very quickly. I am still getting traffic from some pins that I posted months ago, and this is something that I really love about Pinterest – the life of a pin is so much longer! I am glad you enjoyed this guide, I really enjoyed sharing everything I have learned so far. I am not an expert but I have made huge progress with it. Your videos are insanely helpful. I actually just started my Pinterest account last week but didn’t have it on the business side. I honestly did not even realize that there was a business side to it. Have you been able to get much traffic from it? If so, How? Do you have a specific time to post? I am getting anything from 50 to 150 visitors a day on my mommy blog from Pinterest. Before implementing everything I learned here I was getting maybe 6 visitors a day if I was lucky, very often no visitors in a day from Pinterest. This post is Amazing! Wish I saw this a looong time ago lol I had such a hard time verifying my website with Pinterest. And almost every training I saw showed not even half of the information you shared here! Plus, I did decide to use Canva for the images, and like you said there are already images there for Pinterest and all of the other social media sites – made it so much easier! Hey Rod 🙂 I am so pleased you enjoyed this tutorial – I wanted to share everything I know about Pinterest in one place. I am sure there is still much more to learn though. Canva rocks right? I use it for all my images and it makes my life so much easier. Thank you for your post on pinterest marketing guide for beginners. 🙂 There is quite a few tips I had never thought of before. Especially setting up the business pages I am just using my personal account still on Pinterest. 🙂 I think it is time to make some changes. But I’ve read some articles claiming that Pinterest is not an ideal platform for money making niche or blogging niche. Do you agree? I have to be honest and say that I have mainly been focus on my mommy blog and not very much on this website or my addiction website, that said I do get some traffic from Pinterest to all my websites. I don’t think promoting make money online products would work very well on Pinterest (ok I could be way wrong on this) but if you share online marketing tips I believe that would do really well. The blogging niche will do well I am sure, I see loads of tips for bloggers and they seem to do really well. I even click on a lot of tutorials that I see there – which is a miracle since I don’t find the time to do that on any other social media platform. It is possibly because of the appealing images that are on Pinterest. I am glad to have found your article. This is very much what I need in the very near future. Am still new to affiliate marketing. Lots to learn but will get there. A friend commented that Pinterest will do good to my newly built website. I am sure your guide will help me a lot. Thank you very much for sharing this. Hi Sharon, Pinterest is great. I wish I had realized how useful it is when I first joined. I’m a photographer in Las Vegas and I am always for looking for ways to create additional revenue so this blog post was perfect. I’m getting into street and landscape photography. I think there is a market for creative photos of people and building in the city of Las Vegas. Never really knew what pintrest was but after reading this I will be taking a look into it tonight. Cedric then Pinterest will be awesome for you, it is all about the visual side of things! You should also try out Instagram, it is also image based and very popular. I haven’t quite mastered Instagram yet but that will be my next mission! This post has been incredibly helpful! I have been having difficulty getting the hang of Pinterest and how to generate traffic with it. I am going to give the group Pinterest boards a try and I’m also going to take the extra step of creating different pinnable images. I’m excited to see how this improves my Pinterest traffic. Thanks so much! I am so happy to be able to help you, it was such a game changer for me and each big group I join adds more visitors to my website. Investing the time will pay off nicely for you. Hi Lynne, I am glad I came across this, I have generally ignored Pinterest and never paid attention to it or given it any thought. It surprised me how much longer term traffic it can demonstrate. Your description and tutorials of how to get going are very clear and thorough. Ps thanks for the free book offer! It is a pleasure Vicky, seriously I am kicking myself for not paying more attention to Pinterest when I first joined years ago. I could have had so much more traffic to my websites over the years. A very interesting post. I had no idea that Pinterest had a business side. I haven’t been using Pinterest very much because I don’t really know how. On my personal account the screen isn’t the same as what the WA training showed, so I pretty much gave up. I bookmarked this post and will use your information to set up a business account. Hopefully this will provide much needed traffic to my site. Hi Ron 🙂 yes I am sure it will bring you traffic. Like I said it takes a bit of time to join groups and get your images looking good but I am 100% sure that if you follow this method you will very soon have a steady stream of Pinterest traffic. Let me know if you have any questions. Right now, I mostly use Facebook and Twitter to spread my website. I tried to use Pinterest before, but there seems to be very little results. Although many say that Pinterest in a very good social media platform, I have no idea how to utilize it. After your post, I will probably start doing what you recommend, upon seeing your results. Michael I felt exactly the same way, in fact it felt to me like I was wasting my time taking 30 seconds to pin images! I decided to give Pinterest one last go before either succeeding with it or canning it. This is the result, Pinterest rocks! I was really surprised by how popular Pinterest had actually become and it’s a must for your business! As I’ve never been a real user of Pinterest I didn’t really know how to get properly started, but your site has been super helpful in getting me started up. I know this page is all about Pinterest, but what other social media sites have you had success with? Thanks, I find videos so much easier to follow than written explanations myself so I love creating videos to go along with anything I share. 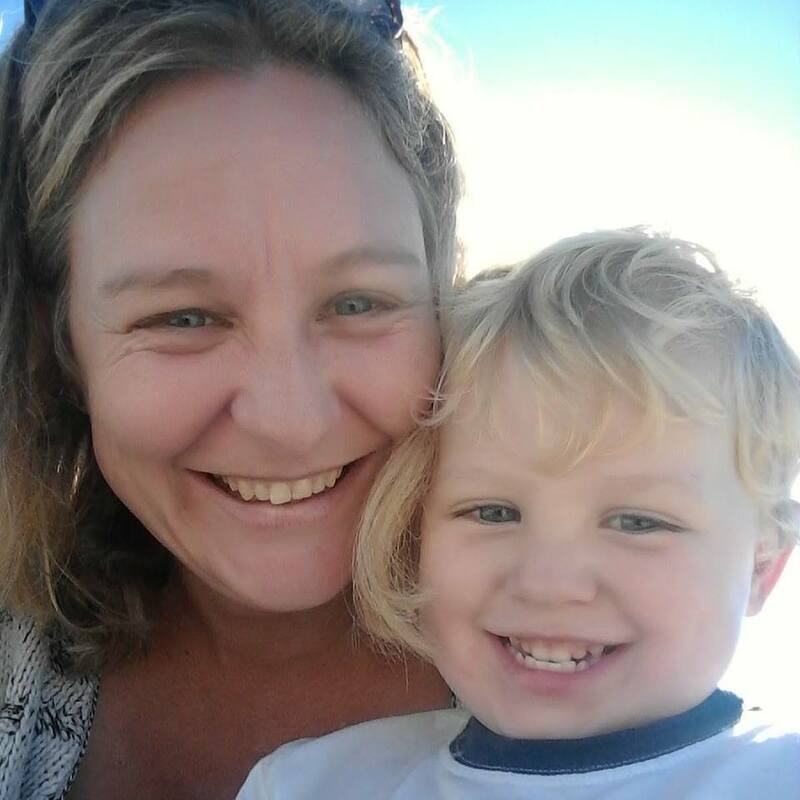 I have had massive success with my Facebook page for my mommy blog, I have invested a lot of money, blood, sweat and tears into it 🙂 I haven’t published any tutorials about Facebook yet and I really should I guess. I only have a few hundred followers on my page for my addiction website and I think about 600 followers for my page for this website…. I have not really spent much effort on those and I don’t think any money. My mommy blog I have about 55 000 followers with great engagement. It is awesome because I get hundreds of daily visitors to my website from my Facebook page – it is my biggest source of traffic. I love Youtube and I have found a certain amount of success with it, I published an article about how to SEO Youtube videos. While I love Youtube I use it mainly to supplement my blog, to add value to articles like this one. That said I do get over 40% of my Youtube traffic from Youtube search so I am getting a lot of people finding my blogs through Youtube. I have also been on Pinterest for a good while now but I haven’t been seeing anything significant in terms of traffic from it. I have created a number of boards and have even been posting on a daily basis but didn’t add the meta work to optimize it. Also, I don’t have collaborators. How much impact do you think that will have when I do all that? Will it add to my traffic? Joining bit Pinterest boards will make a massive difference to your traffic, I know because that has been my personal experience. Some of those boards have pins with thousands of repins. You will be putting your content in front of a massive audience. So yes I believe properly optimizing your images and boards will help a lot and also joining big Pinterest boards. Hi Lynne, great guide about Pinterest. If I had found a guide like this one when I was getting started, I would have saved a lot of time. Nice strategy also on how to join group boards!